Delicious honey and beeswax to spare. Healing from the hive for me and you! People are talking about propolis and cancer on the American Cancer Society’s Cancer Survivor Network! Cancer patients are using propolis and posting information about propolis and cancer fighting properties. I decided to do some research to verify what is being said. Propolis is a natural compound made by honeybees to coat the inside of their hives. It is collected by the bees from plant buds and bark to disinfect and protect their beehive from disease, bacteria, viruses, and fungus. Its composition is approximately 55% resins and balms, 30% wax, 10% etheric oils, and 5% pollen. It contains over 180 compounds, many of which are biologically active. It contains almost all minerals, vitamins and amino acids needed by the body. Its great content of flavonoids, amongst others, is what makes it antiviral, antifungal, antibacterial, anti-allergenic, antibiotic, and anesthetic. It can be ground into powder and consumed with honey, or it can also be chewed with gum. It may be dissolved in alcohol or in natural glycerin to make a tincture. One of the flavonoids extracted from propolis showed a more potent cytotoxic activity against human lung adenocarcinoma (A549) and human fibrosarcoma (HT-1080) cells than did the anticancer drug 5-fluoruracil . It also cited a study that showed propolis was found to inhibit proliferation and induced cell death in human leukemia (HL-60) cells. Researchers from th e University of Chicago Medical Center, intrigued by propolis’ anti-cancer potential, decided to look at one of its bioactive components, caffeic acid phenethyl ester (CAPE), and its impact on human prostate cancer cells. In cells grown in a lab, even small doses of CAPE slowed the growth of tumor cells. And when low oral doses were given to mice with prostate tumors, tumor growth slowed by 50 percent! What’s more, feeding CAPE to mice daily caused the tumors to stop growing, although they returned when the CAPE was removed from their diets. 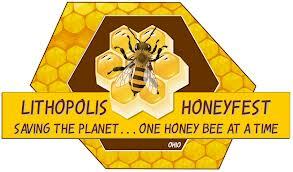 “Propolis, a waxy substance produced by the honeybee, has been adopted as a form of folk medicine since ancient times. It has a wide spectrum of alleged applications including potential anti-infection and anticancer effects. Many of the therapeutic effects can be attributed to its immunomodulatory functions. The composition of propolis can vary according to the geographic locations from where the bees obtained the ingredients. Two main immunopotent chemicals have been identified as caffeic acid phenethyl ester (CAPE) and artepillin C. Propolis, CAPE, and artepillin C have been shown to exert summative immunosuppressive function on T lymphocyte subsets but paradoxically activate macrophage function. On the other hand, they also have potential antitumor properties by different postulated mechanisms such as suppressing cancer cells proliferation via its anti-inflammatory effects; decreasing the cancer stem cell populations; blocking specific oncogene signaling pathways; exerting antiangiogenic effects; and modulating the tumor microenvironment. Unload, set up, and pray for good luck! Two customers before we were done, A sign of good things to come? The whirlwind hit promptly at one, and didn’t let up until it was done. No sitting or resting or lunch! We talked and shared and met new folks, interested in blessings from bee and hive. We dedicate these blessings to God! 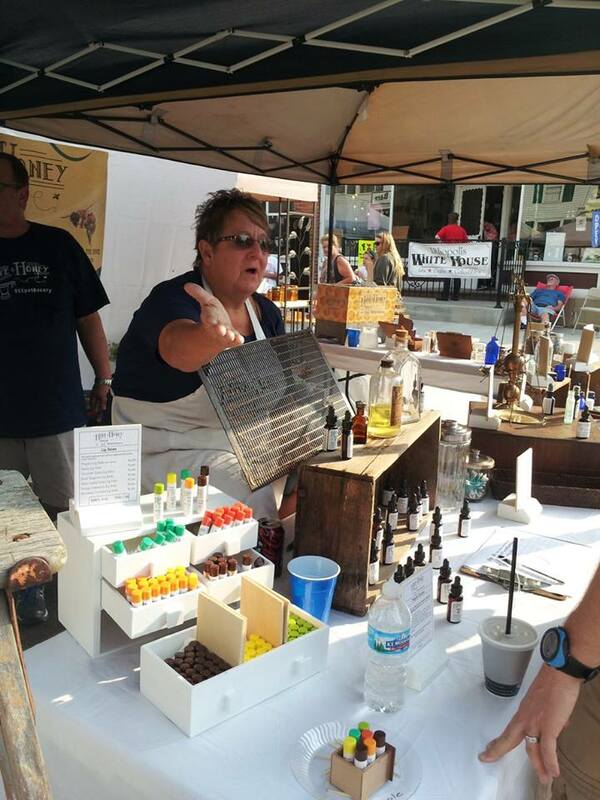 Today, we are recovering from our first business adventure, a whirlwind two days at the Lithopolis HoneyFest. We are absolutely exhausted, but thrilled with our experience and success. We are blessed! 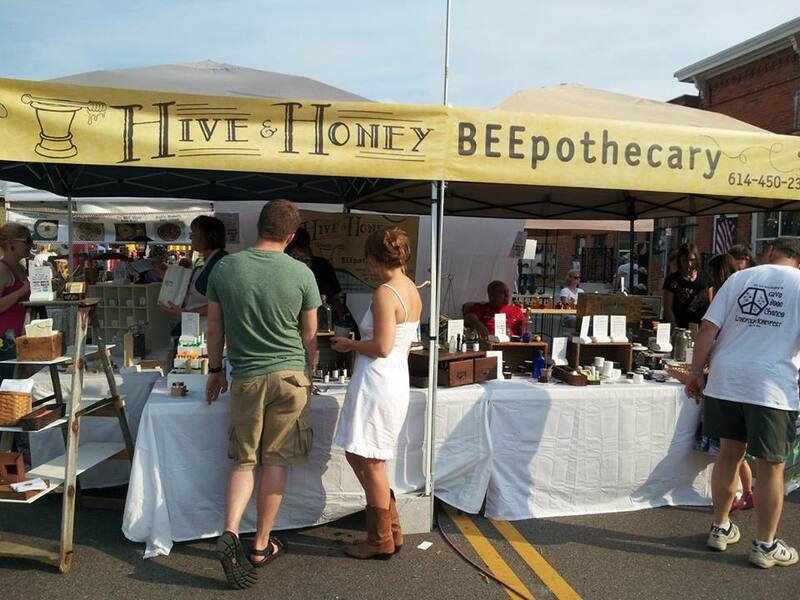 We debuted our Hive and Honey BEEpothecary line of health and skin care products, and spent two days meeting new people and sharing the amazing benefits of honeybee hive resources. Our products sold very well and we are thrilled with the response we got from customers. We had two people come back the second day to report success and pain relief from using our products for just one day! Our grown children were a great help to us – filling in when we needed a break, bringing us food, and drinks, loaning us a phone when we had cell coverage issues and just being generally supporting and encouraging. Our friends came out to support and encourage us, too. And we got to see lots of old friends and aquaintances and reconnect. And the perfect ending to the weekend was what we believe was a God-inspired meeting of a delightful young couple who blessed us with their faith, openness, encouragement, and their prayers. We have a feeling that blessings will come from this encounter and have plans to see them again. We still need to unpack, but today we start thinking about next steps! What do we do next? How soon can we be ready to do another event? What products do we need to make more off? What sold well or didn’t sell well? How hard do we want to work?! We have also been able to get our online store up and running. It can be located through a link on the Our Products page of this blog. Check out our all natural skin care and health products made with amazing honeybee resources! We are truly blessed! We aspire to share the blessing God has given to us in our natural world and the honeybee! 1 How lovely is your dwelling place, Lord Almighty! 3 Even the sparrow has found a home, and the swallow a nest for herself, where she may have her young— a place near your altar, Lord Almighty, my King and my God. This is a great honey festival focused on education, encouraging others to take up beekeeping, and all kinds of products, demonstrations and information about honeybees and products from the hive! Enjoy a fascinating day of unique attractions – honey bee beards; honey in a variety of flavors, colors and textures; and an array of products direct from the hive. Watch honey being extracted from the comb and the State Apiarist demonstrate a hive inspection. Meet the American Honey Princess, Ohio beekeepers and explore beekeeping equipment hands-on. See a real queen bee and her colony up close under the glass of an observation hive. 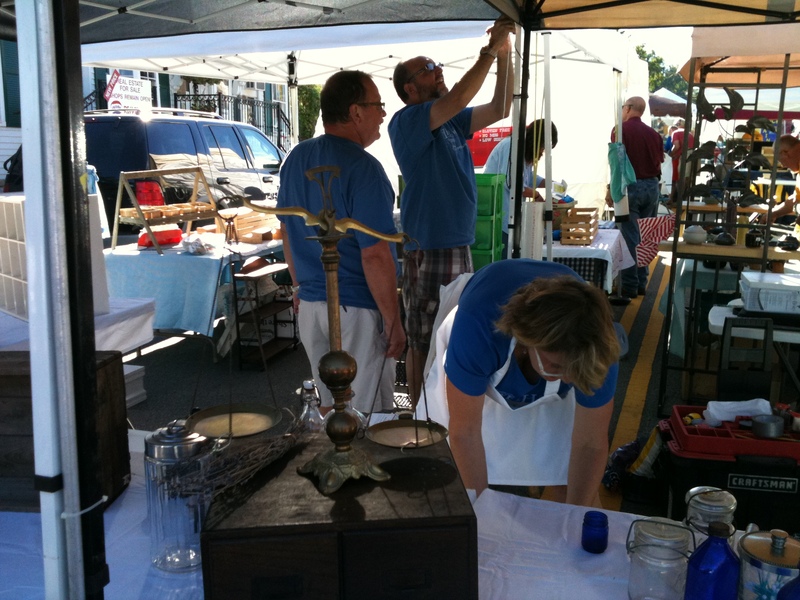 Buzz over to the food court for scrumptious honey-made food and sample mead at the wine tasting tent. 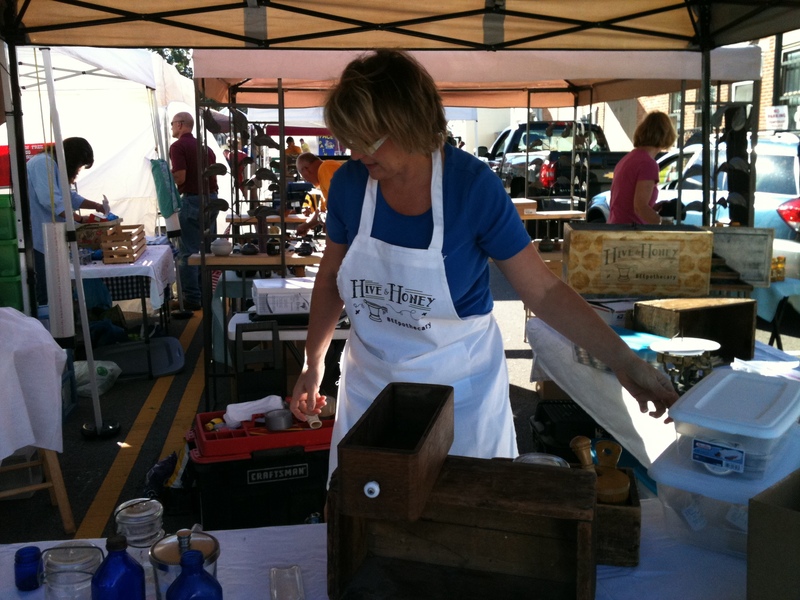 Grab a honey brew at the beer garden and enjoy a treat from the Honey Bake-Off sale. Live music on two stages, arts & crafts, and watch the kids have fun creating their own crafts at The Gilmore Group’s Busy Beehive.